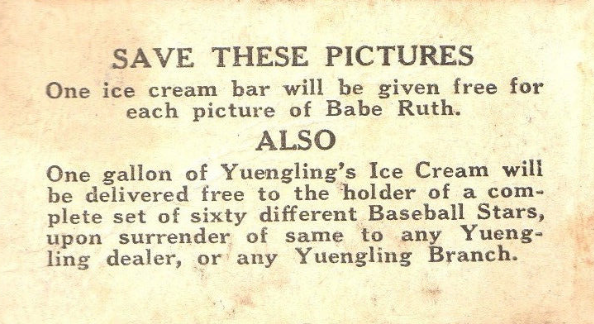 This post earns its catch-all "ice cream" title because several mid-Atlantic food makers shared one 60-player checklist and design for multiple promotional sets distributed with ice cream or candy products. Hall of Fame catcher Gabby Hartnett's full-length warm-up shot got #5. 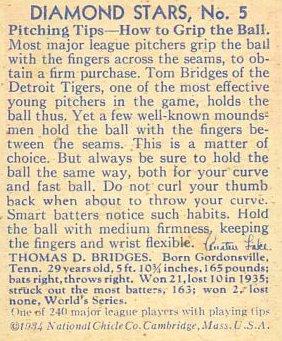 The "ice cream or candy + baseball" combo would've been big news for kids in those days, but its ho-hum design underwhelms as a collectable. 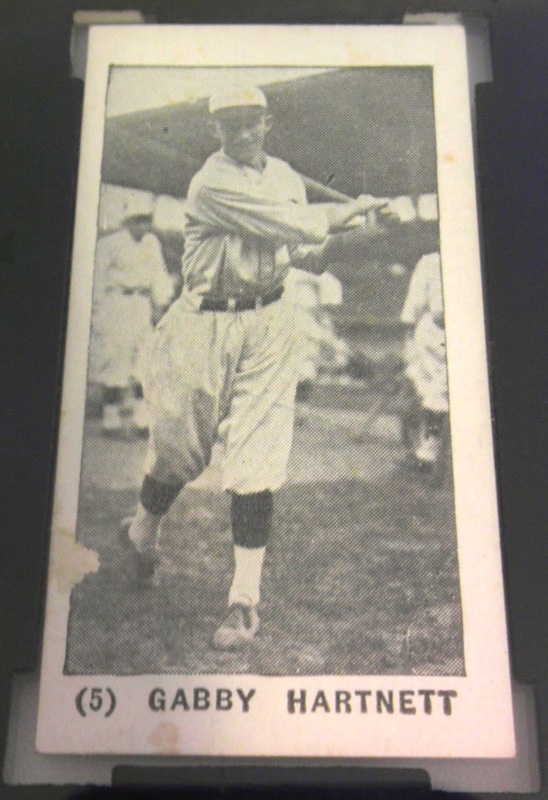 These hazy photos on white stock resemble photocopies when held in real life, so need close examination to authenticate. 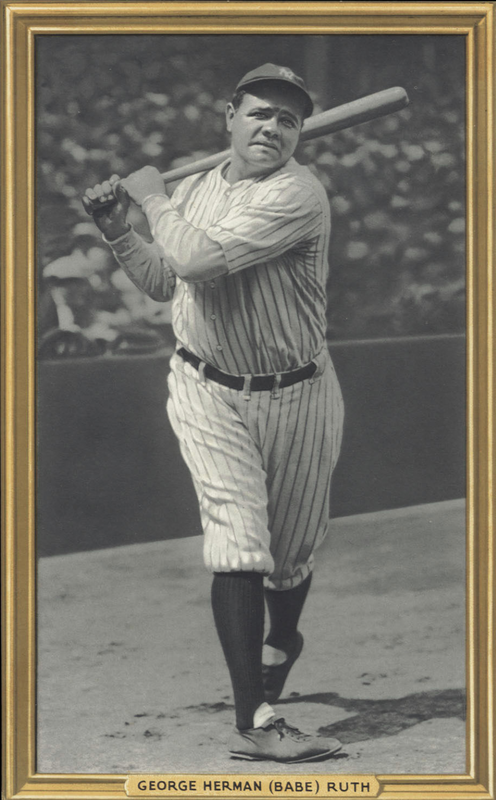 Few collectors attempt to build sets without sticking to graded cards. Each food company customized their card backs with promotional info, a brief player bio, or trade-in contests that encouraged kids to swap Babe Ruth or complete sets for ice cream. 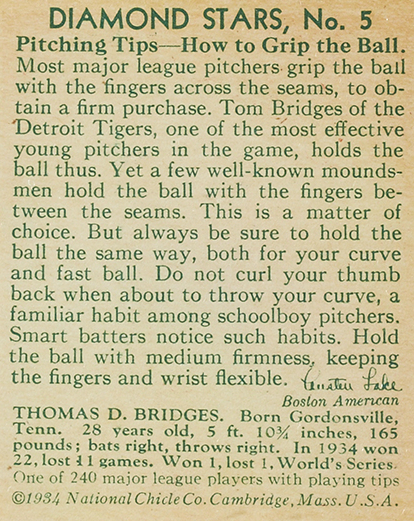 I profiled TCMA's reprint of one such set in 2010. 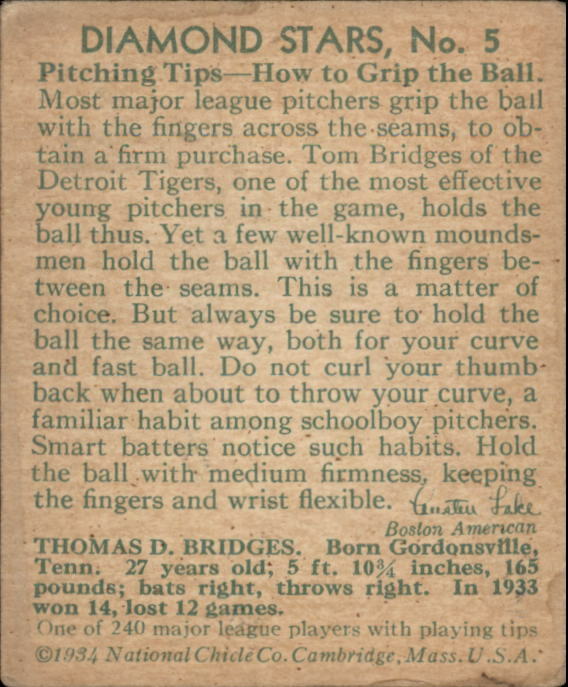 It's not clear if kids got to keep their cards after getting a freebie, but I suspect not. Companies might've reclaimed and recirculated redemption cards to save on further printing costs. 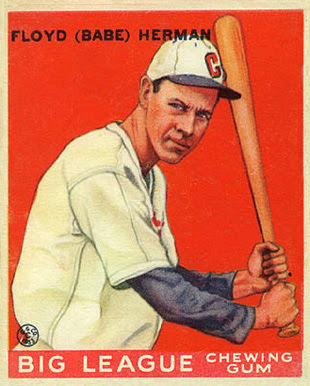 At least five companies share this same front design and checklist with varying backs, linked below by catalog number to their Old Cardboard set profiles, which show checklist and back variations. 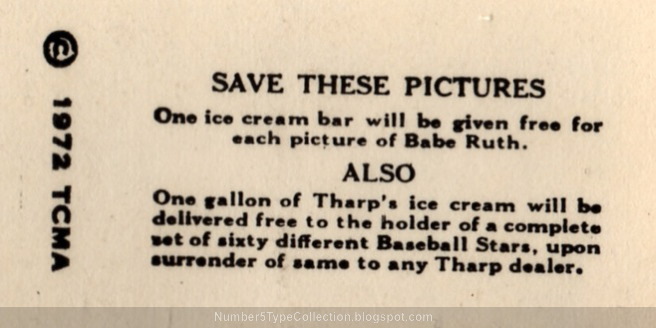 UPDATE: Here's the rarely-seen Babe Ruth card, scarce thanks to the ice cream bar trade-in offer. 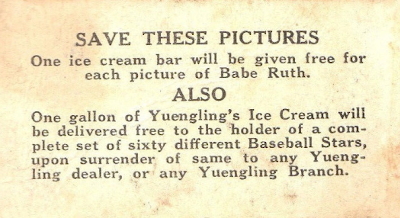 UPDATE #2: Here's a #5 back with Yuengling's ice cream offer, Babe Ruth for a bar or the whole set for a gallon. Value: Each graded #5 type cost me $40 on eBay. 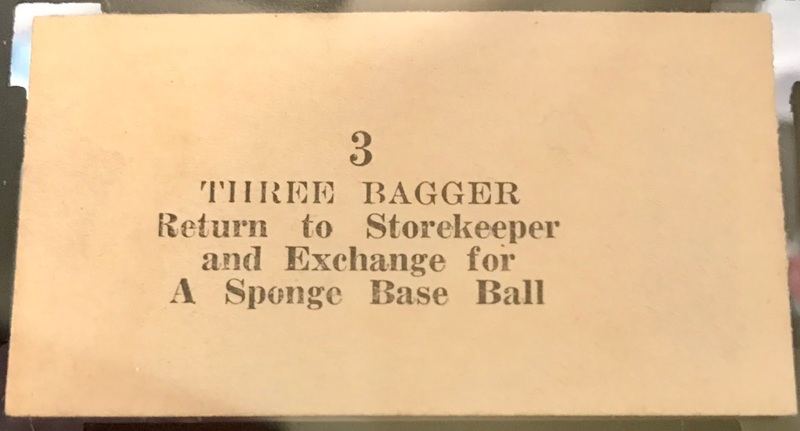 Sellers want to believe singles are worth hundreds of dollars, but dozens of dollars is more likely. 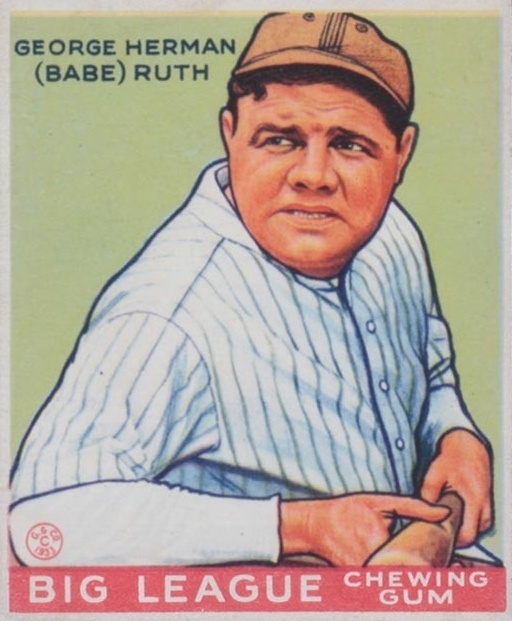 Bigger superstars legitimately run $100 and up, with Ruth cards netting $1000s. 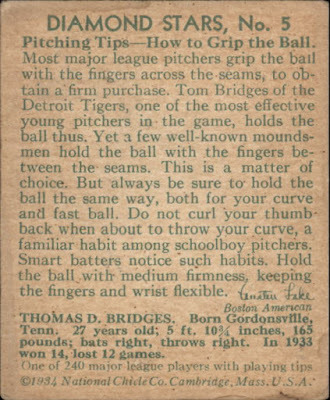 Fakes / reprints: Reprints and fakes exist, so buy from reputable dealers if you're looking for a type card and aren't familiar with the sets themselves. 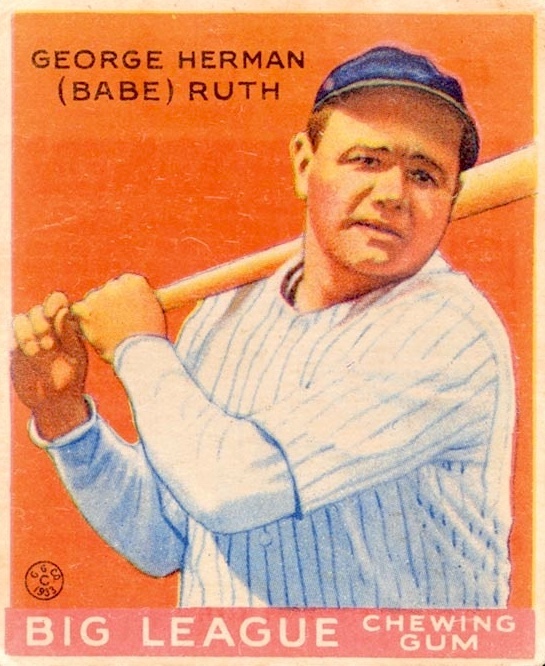 Goudey's many "Babe" Hermans and George Herman "Babes"
If you wrote a book about Goudey Gum's 1930s trading card sets, at least one chapter would talk about the many, many times they squeezed multiple cards from a single photo. Here's a quick look at the guy who got that treatment more than any other, George Herman (Babe) Ruth. 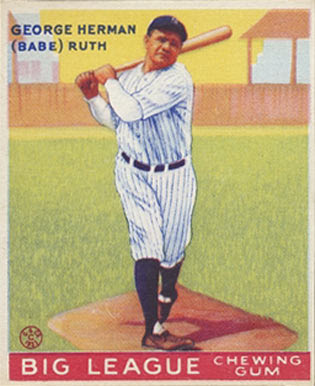 Goudey reworked this on-deck photo four times in 1933 alone, from the above R309-1 Premiums stand-up to three different cards in the main set. 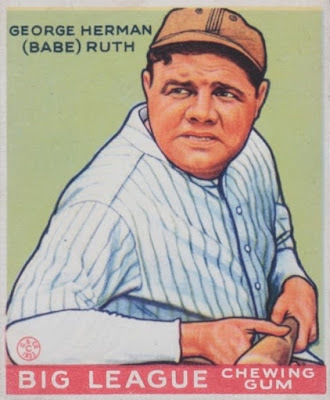 Ruth changed to a dugout pose later in 1933, perhaps after collectors complained they'd seen the same Babe three times. 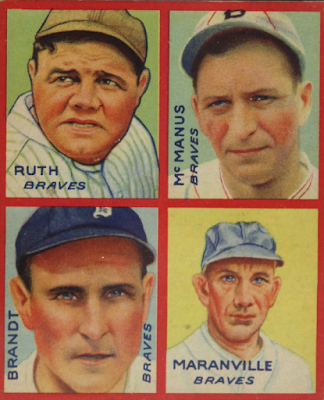 That's five Babes from two photos in 1933 alone, but Goudey wasn't done. 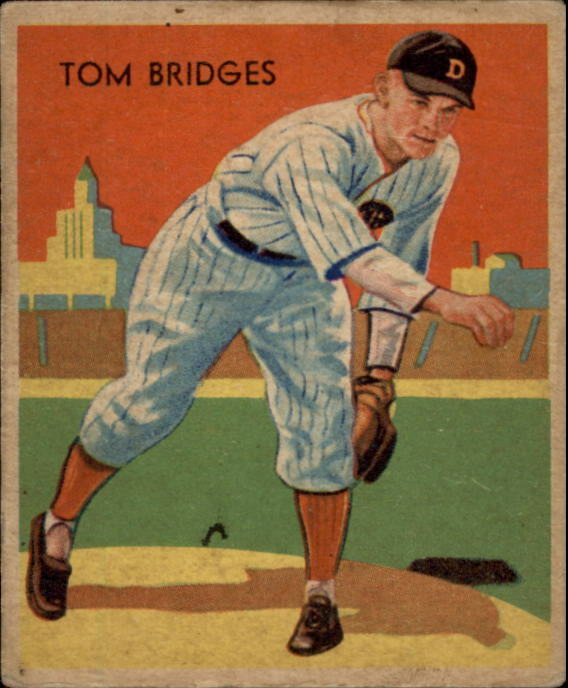 They got another card out of this pose for their 1935 4-in-1s. As with all players in that set, they're re-cropped from earlier Goudey cards. Babe's only meaningful change is "Braves." 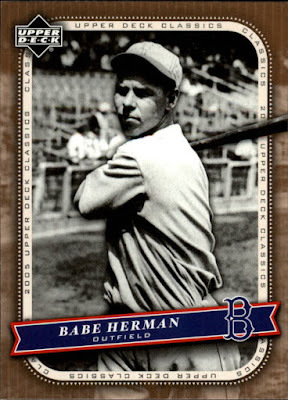 Close to my heart is the "other" Babe Herman, #5 in Goudey's 1933 set. 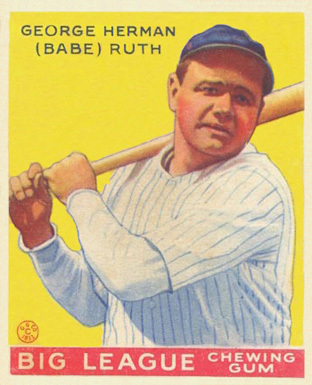 It's not clear if this Babe, who was also a phenomenal hitter in the 20s and 30s, picked up the nickname from his Ruthian exploits. 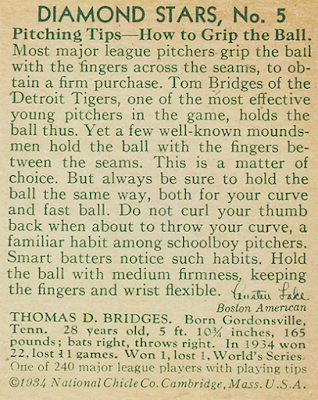 Why stop there? 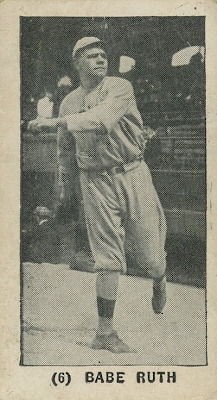 Herman got the same cropped treatment for 1935 4-in-1. 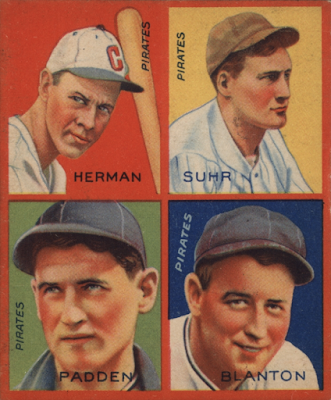 I'm surprised they didn't blot out Herman's C(hicago) cap, given the move to Pittsburgh, but it was The Great Depression and selling gum packs meant more than minor details like "current team." 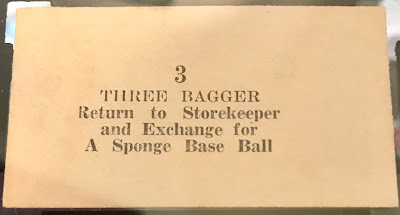 Babe's earlier days in Brooklyn included his infamous "double into a double play," explained well by the Parker Pioneer in "Three Men on Third Base."